Magneto is an open source e-commerce application owned by eBay. It operates using a LAMP stack on most Linux distributions. 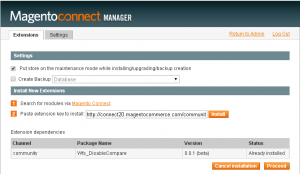 This guide will focus on how to setup Magento on Ubuntu 15.04 – but the steps here should work for other versions as well. Please note that Magento is a very resource-heavy application. For a test server, PHP requires a minimum of 512MB of RAM, but you should use at least 1GB for a small store and 4GB for a medium to large store with hundreds of products. This tutorial assumes that you are using a freshly created VPS with no installed packages. First, ensure that the apt-get package library is up to date by running the command below. This will ensure that the latest version of the packages are installed. 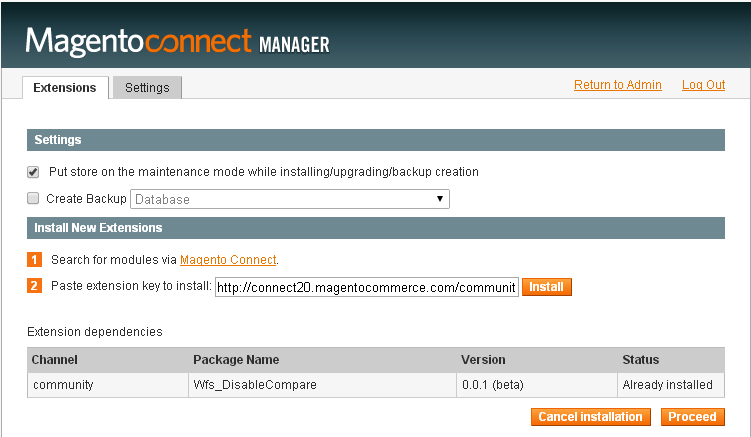 After this has completed, it is time to install the LAMP components that powers Magento (Linux, Apache, MySQL, PHP). Run the following command with sudo to install all 3 packages in one go. Alternatively, you may install these packages separately using this tutorial. You will need to specify a password for the MySQL root user. Make sure this password is secure and note it down as it will be needed later. Before Magneto is installed, we need to configure Apache to properly redirect and rewrite the incoming traffic. Create a virtual host file for Apache using the following command. Here, we use the nano editor, however any text editor could be used. Inside this file, copy and paste our setup options into the nano interface. It should look similar to the screenshot below. Then, reload Apache using the command. PHP also needs to be configured to properly handle the Magento application. As it is an extremely resource heavy application, we need to increase the memory allocation given to PHP. In this case, I will allocate 512MB as this will only be running a test store, however most stores require 1-4GB of memory. First, open the php.ini config file with a text editor. Save and close the file using Control + O 记得每次都要回车一下and Control + X.
Magento also needs some additional PHP modules which can be installed using apt-get. Execute the following command. Once the install finishes, run the following commands. Magento uses MySQL to store almost all the data associated with the site. We need to create a database for the application to use. Start the MySQL commandline using the command below, using the password from the LAMP setup earlier. Next, execute the command below to create the database. Leave the MySQL commandline using Control + C.
We need to generate a keypair to clone the Magento repo. Since this requires authentication, see the Magento developer documentation for the latest instructions. Next, place these keys in the auth file for composer using the command below. CD to the web directory. Clone the Magento Github repo. CD into the cloned folder. Run composer install to update the dependencies. I’m sorry so long to submit this proposal, in this period, we have been discussion about how to improve the performance of our account. Please forgive our English is not good enough. First, we introduce ourselves, we are Shenzhen Haibucuo Technology Co., Ltd, an e-commerce company, founded in 2012, mainly engaged in several major foreign trade platforms. AliExpress, ebay, Amazon, and our own B2C website. Since early this year, our sales strategy have Change to DIY toys, we want give service to Makers around the world. So we have removed a lot of the previous product. We want sell some special product .We also have registered their trademarks SINONING for toys, currently being reviewed trademark. But unfortunately, the not stable product make more problem. But we will never give up, we will do our best on what we want do. We have choose a diverse catalogue, it difficult fully handle at short time. send product not in time. before ship the good, we not fully carefully check and test. Customer response is not timely, not in time solve the problem which customers meet. There have some personal reasons in early June, some customer the product robot tank chassis parts missing, not timely reply and resend the missing parts. Carefully chooses product to sell on Amazon. Timely ship out the product. clear and accrual describe product. Finally, I urge restoration of our rights to sell, we will not let you down. Posted in 事业, 外贸, 数码.